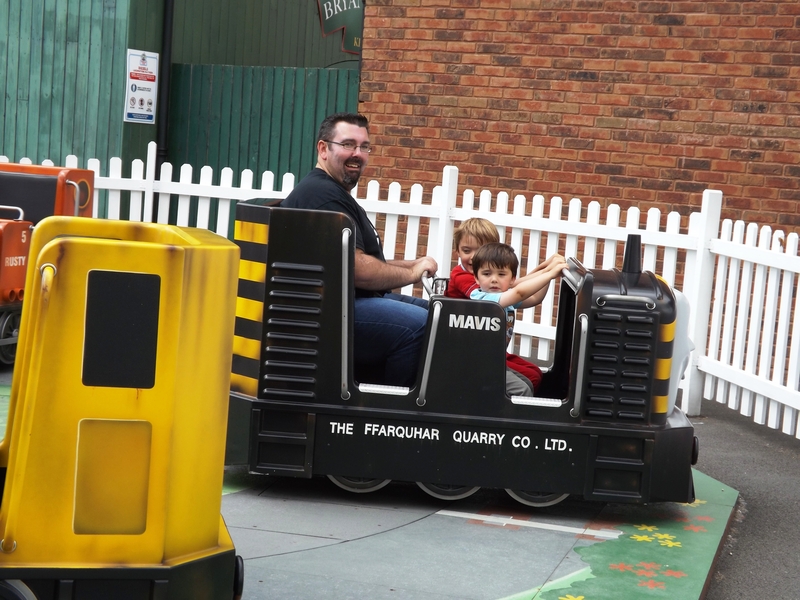 For Freddie’s birthday treat this year, we decided to head to the Midlands to experience the delights of ‘Thomas Land’ – the Thomas the Tank Engine-themed park which nestles itself inside Drayton Manor, up near Birmingham. 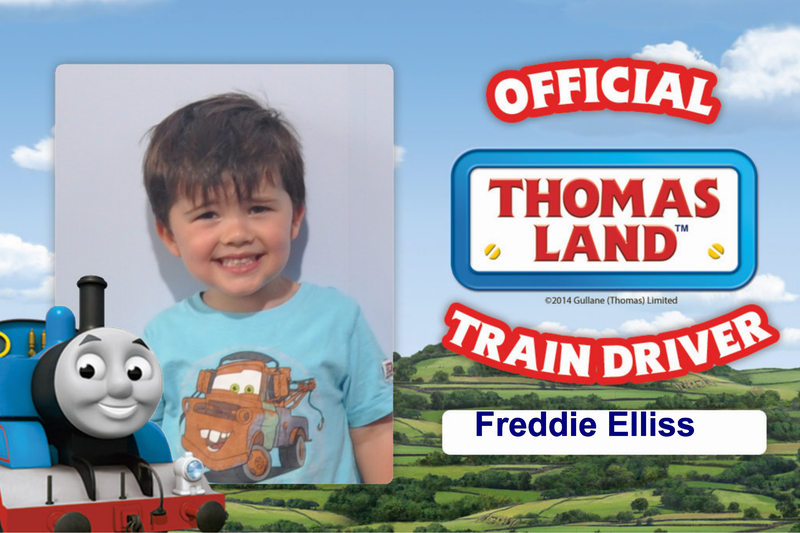 As a regular viewer of the aforementioned Thomas, the moment Freddie heard Thomas Land existed he wanted to visit – and since he’s not really old enough for a birthday ‘party’ yet, it seemed like a fair request. So up the M40 we trundled (stopping at Warwick Castle on the way), arriving at Drayton Manor on a sunny Sunday Morning, ready to test Thomas and his alliteration-loving chums to their limits. I should probably ‘fess up at this stage that I’m not much of a Thomas fan. I’ve even written posts about it in the past, so it’s no secret that I find Thomas to be a judgemental and preachy little bugger. 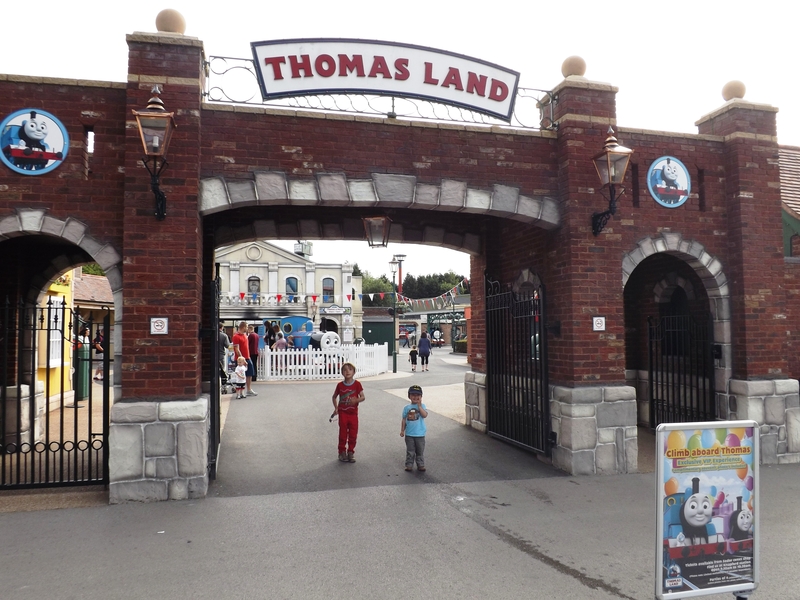 Despite my feelings on the matter, I’m pleased to say I was pleasantly surprised by Thomas Land. 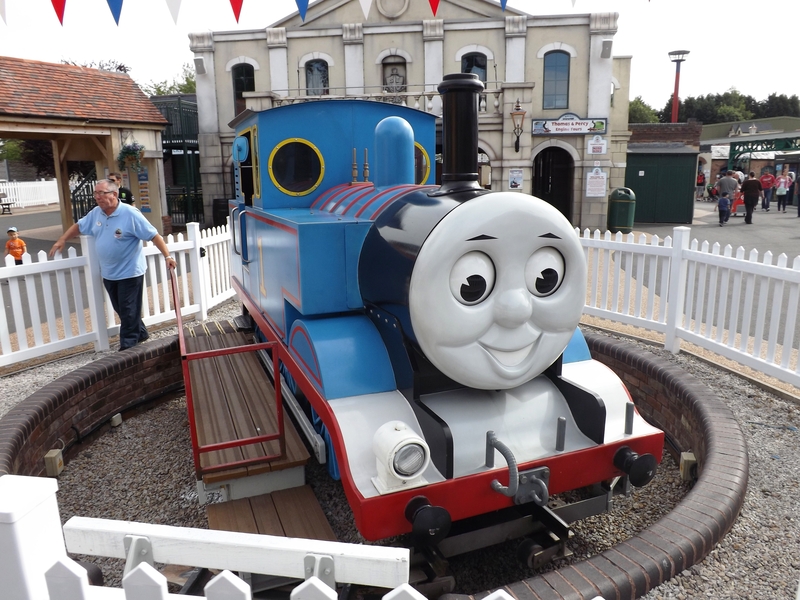 For starters, it doesn’t cost any more to get in to Thomas Land than it does the whole of Drayton Manor – so if you’ve got older kids as well as the young ones, they’re welcome to wander the entire park. That’s not to say that it’s a small corner of the park though. 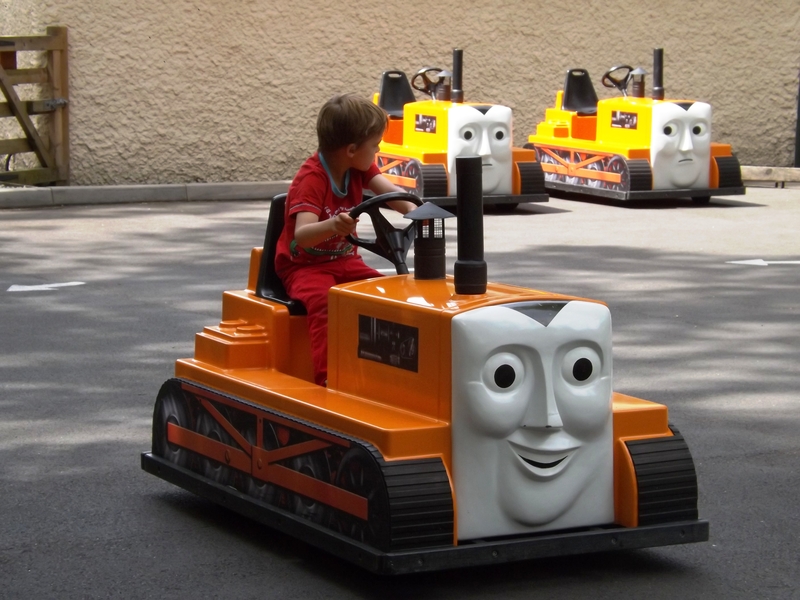 As a foursome, we stayed in Thomas Land for the entire day and never once ran out of things to do. 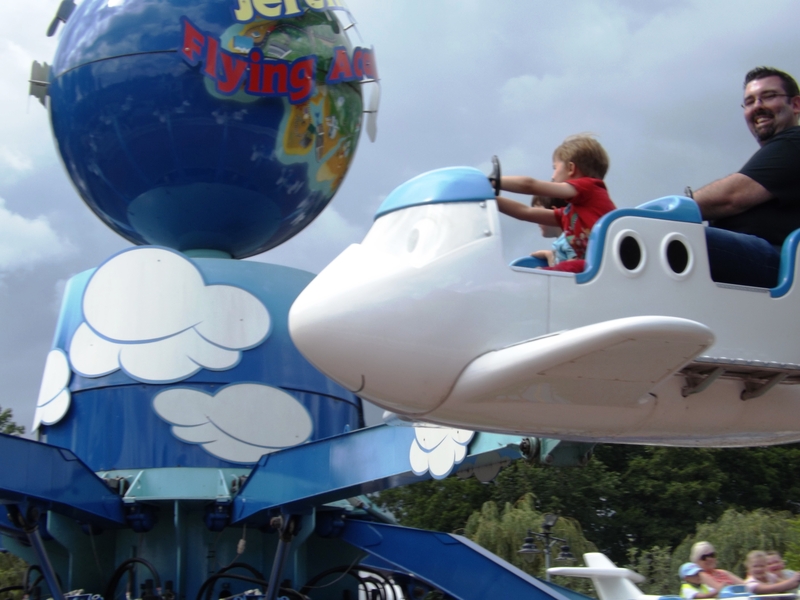 There are rides (mostly pretty tame, as one might imagine from a theme park aimed at toddlers), games to play, stalls to visit and things to look at. Whilst there ARE plenty of ways for you to spend your money (I’d highly recommend getting a “photo pack” rather than paying for photos individually) – sweets, drinks, a MASSIVE Thomas toy shop and restaurants will all happily take your money. But if you’re on a budget, you could definitely still get a day’s worth of entertainment out of your visit. 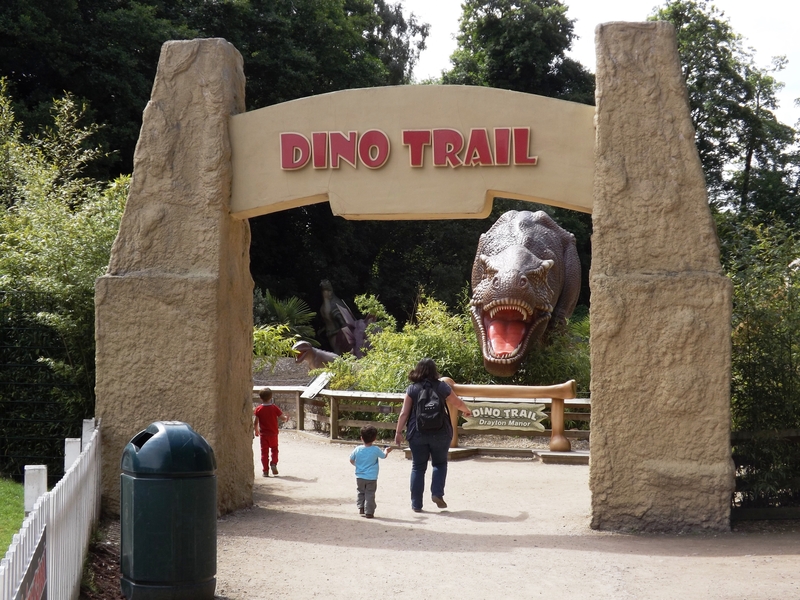 My two had a brilliant time – they loved taking photos with the trains, riding the aerial train track, visiting the dinosaurs (I’m not entirely sure how that fits in with Thomas, but hey) and even just looking at the park. As much as it loathes me to say, I actually came away disliking Thomas SLIGHTLY less. It didn’t cost me the earth, the rides were all very friendly and safe and the number of stalls wasn’t too overwhelming. I’d actually recommend it. And I never thought I’d say THAT before I visited…! Great photo of that rubbish bin. And yeah, I am not a big fan of Thomas and his arrogance.